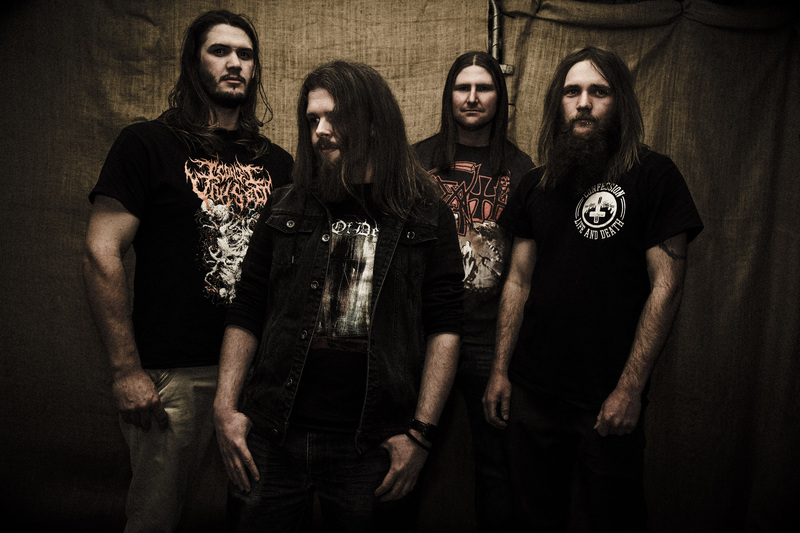 THE MALEDICT is a death/doom band which formed in rural Victoria, Australia, in 2012. Originally conceived as a small-scale death metal project between guitarist/vocalist and principal songwriter Ian McLean and bassist Stuart McCarthy, 2013 saw The Maledict is a death/doom band which formed in rural Victoria, Australia, in 2012. Originally conceived as a small-scale death metal project between guitarist/vocalist and principal songwriter Ian McLean and bassist Stuart McCarthy, 2013 saw THE MALEDICT transition to full-performing act, with the addition of Karl Freitag as the band’s drummer and Stuart Henry taking on lead guitar duties. In this year, the band released the 48-minute demo ‘Salvation in Yielding’, which illustrated the beginnings of a shift in musical direction for the quartet. As the band continued to perform and write, the initial straight death metal approach continued to mutate, inheriting an increasing number of gothic, orchestral and doom metal influences. With the release of their self-produced debut studio album, ‘Dread’, The Maledict’s musical identity finally stands fully realised, weaving between funereal waltzes and crushing death metal with equal zeal.